Green energy is transforming the daily commute. Public transportation is an excellent way to reduce the cumulative emissions of the region it services. Fewer fossil-fuel guzzling commuter vehicles on the road lead to less pollution. San Fransico’s train service, the Bay Area Rapid Transit (BART), is going to be completely revamping how the train operates to reduce its environmental footprint. The program will slowly roll out through 2045 with the goal of the system’s complete reliance on green energy. The first phase of the initiative will target the gradual limiting of carbon dioxide emissions through 2024. A year later in 2025, the plan calls for at least half of the system’s energy to be drawn from renewable sources. Additionally, 90 percent of the total energy use must come from low or zero-carbon sources. The requirement for the complete use of zero-carbon sources will be met in 2035. 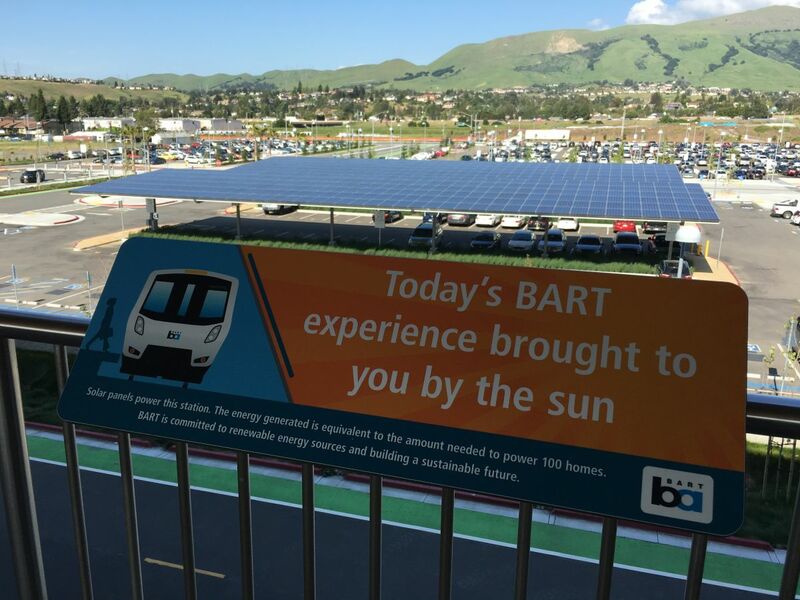 Finally, BART is to run on solely renewable sources by 2045. Regardless of how the current U.S. federal administration is trying to shape energy policy, the tide is changing in favor of renewables. Energy from fossil fuels like coal is becoming less profitable, and experts are clear in saying that it will never recover. Not only is renewable energy providing more economic opportunity, but it’s also becoming cheaper to generate. This makes renewables more fiscally viable for businesses, including publicly run transportation entities like BART. And BART is just one option that environmentally conscience commuters have these days. As electric cars become more affordable and even come equipped with solar panels, green transport is accessible to to almost everyone — even those who don’t live in San Francisco.